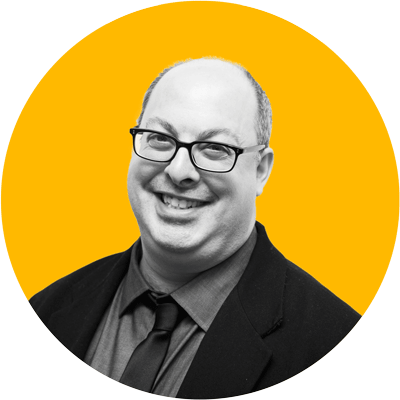 Who better than David A. Kaplan, Managing Editor of GeoMarketing.com, ​to ​knows what really ​matther the​se last months in the world of digital marketing and location-based marketing ? So we were lucky enought to sit with David, as he accepted to share the benefit of his deep experience and tell us what are the big marketing trends that he see emerging and w​hat campaigns he particularly noticed lately. ► Since our last talk at Retail’s Big Show, what are the big marketing trends that you see emerging ? David Kaplan : The most important thing we’re thinking about right now is the rapid rise of Connected Intelligence-based digital assistants like Amazon’s Alexa, Google Assistant/Okay Google, Apple’s Siri, Microsoft Cortana, and Samsung’s Bixby as they make the transition from mobile to the living room. The concept of Connected Intelligence is based on the evolution of artificial intelligence and machine learning. Up until the last three years, products and programs related to AI have tended to be strictly within the confines of enterprise computing and business-to-business (B2B) activities. But now, it’s becoming more integrated in into general marketing programs that are intended to influence online-to-offline, digital-to-physical interactions across a range of consumer areas including, retail, transportation, food services, travel/hospitality, and even healthcare to a certain extent. For example, we’ve been seeing how traditional automakers are adopting shared mobility programs and how that is changing the way people get from one place to another; it’s also setting the stage for accelerating the emergence of driverless cars. 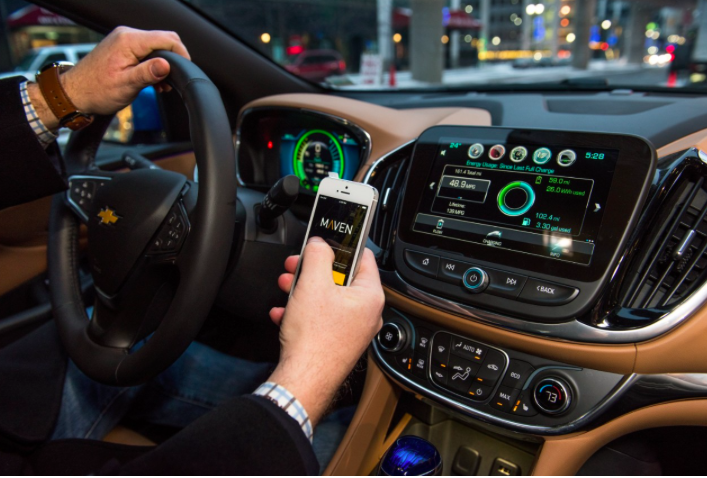 Companies like General Motors are investing in shared mobility efforts like its Maven subsidiary which provides app-based car rental for consumers as well as for people looking for work in the “Gig Economy” either as ride-hailing drivers or as couriers making food deliveries. It all comes down to the way business locations are competing for consumers’ attention and discovery. Restaurants and hotels are trying to use Alexa skills to get people who own an Amazon Echo to book a table or a room or a flight. Grocers and department stores are using the knowledge that consumers have shared with their calendars, maps, and email to get people to order deliveries to pick-up purchases. The technologies that power Connected Intelligence are changing the way people search and find what they’re looking for. Instead of entering in a search and seeing a list of hyperlinked suggestions based on what’s generally most popular, people are becoming more accustomed to receiving specific, personalized responses to their queries. And that is changing the whole dynamic and set of expectations between businesses and their existing and potential customers. ► What campaigns do you particularly noticed since the beginning in this last six months (app, mobile, social, geomarketing) ? David Kaplan : We’ve been interested in the ways the The Weather Company, which is owned by IBM and is aligned with the IBM Watson AI/machine/Internet of Things division, has been using advanced analytics and programmatic advertising to the launch of what the company claims is the “first cognitive ads” for the auto industry in a campaign to promote the Toyota Prius Prime. 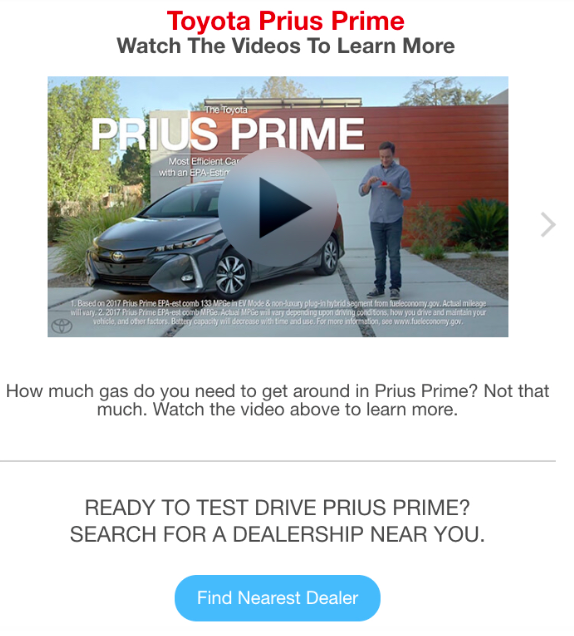 The Watson Ads for the Prius Prime began running in June on The Weather Channel App and on weather.com site. The campaign built on recent uses of Weather Company/Watson Ads by the Campbell Soup Company, Unilever, and GSK Consumer Healthcare, and points to how marketing that promises to understand and respond intelligently to consumers’ voice-activated and written queries can influence the ads we see and experience. Separately, Pandora has been taking a cue from shorter video ads currently being offered by YouTube, Facebook, Fox Networks, with a similar version for audio ads in order to help better capture mobile consumers on-the-go and drive sharper creative. Following tests of the shorter format that showed lifts in ad recall with pest control service Orkin and jobs site ZipRecruiter, Subway is planning to use the Pandora 10- and 30-second audio ads in the next few weeks. In a test with Nielsen Entertainment to understand audio ad effectiveness between broadcast radio and digital radio, Pandora says it was the ad length findings that caught the music streaming platform’s attention. The test indicated that shorter audio ads (8 seconds in length) prompted high recall with younger demos, specifically 13-24 year olds. Although the study wasn’t 100 percent conclusive, it made Pandora pause and consider how it might apply these findings on its platform. 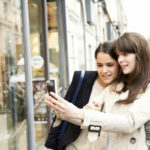 The idea is that mobile encourages the expectation of “immediacy” as well as personalization. It’s become cliché, but the idea of “giving consumers what they want, when they want, and how they want” is more essential than ever. That’s particularly true when it comes to reaching and engaging mobile, on-the-go consumers. ► With Walmart To Rollout Voice-Shopping Via Google Assistant To 4,700 Stores, what advice can you give to brands wanting to enter this new chanel? David Kaplan : As I say above, that ethos of personalizing advertising and shopping for consumers is paramount. Walmart and Google’s collaboration on voice-activated shopping is part of those brands’ respective attempts to challenge Amazon and Facebook. But it’s also reflective of embracing the wider possibilities that consumers are rushing to. The idea of stores as knowing in advance what you want to buy and finding a way to get it for you quickly is something that every business, large and small, enterprise or independent, will have to meet to one extent or another. 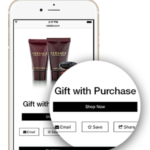 And because the technology is becoming so widely available, the idea of fusing e-commerce with the physical store experience is more possible than ever. While it seems the future belongs to Walmart, Amazon, Facebook, and Google, there will still be considerable room for smaller brands to move faster to serve consumers since being physically on-the-ground and local will not change. But speed, intelligence, and quality will determine who wins consumers on the local level. ► You detect for Geomarketing on a daily base all the impact of emerging digital technology on real-world customer relationships. How do you personally keep up with all the digital innovations? We see the trends of large retail giants quickly trying to adapt to a changing global landscape and the evolving expectations of their customers. There is so much going on, we obviously can’t cover it all! But we try to tackle the big questions and otherwise link to the great digital news publications like Techcrunch and Recode, that have their eyes on the latest developments, both large and small. 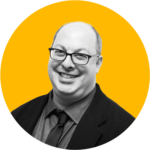 Follow David Kaplan on Twitter and Geomarketing.